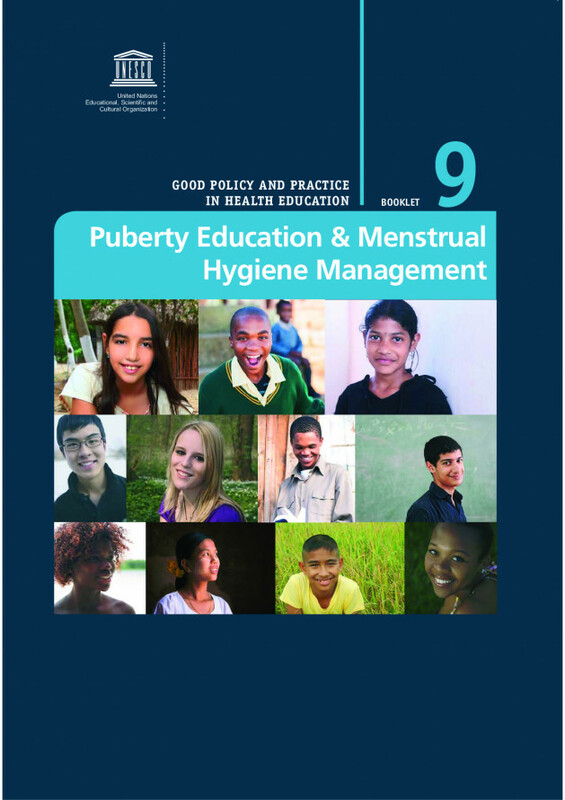 Kettaneh, A; Pulizzi, S; Todesco, M. (2014) 'Puberty Education & Menstrual Hygiene Management'. Every year a new batch of learners reach puberty and this booklet highlights the key role the education sector plays in helping children prepare for these changes. Extending from the WASH in Schools programme, it underlines how schools can engage with the issues surrounding puberty education and menstrual hygiene management, such as the curriculum, community involvement, teacher training, peer education and public-private partnerships. It encourages all learners to be educated about puberty, the provision of a safe environment and connecting learners to health services. Many successful examples are presented to inspire those in the sector to formulate their own plans.